The country research report on United States organic personal care and cosmetics products market is a customer intelligence and competitive study of the United States market. Moreover, the report provides deep insights into demand forecasts, market trends, and, micro and macro indicators in the United States market. Also, factors that are driving and restraining the organic personal care and cosmetics products market are highlighted in the study.  This is an in-depth business intelligence report based on qualitative and quantitative parameters of the market. Additionally, this report provides readers with market insights and detailed analysis of market segments to possible micro levels. The companies and dealers/distributors profiled in the report include manufacturers & suppliers of organic personal care and cosmetics products market in the United States. The report on United States organic personal care and cosmetics products market provides a detailed analysis of segments in the market based on product type, and distribution channel. 1) What is the market size of organic personal care and cosmetics products market in the United States? 2) What are the factors that affect the growth in organic personal care and cosmetics products market over the forecast period? 3) What is the competitive position in the United States organic personal care and cosmetics products market? 4) What are the opportunities in the United States organic personal care and cosmetics products market? 5) What are the modes of entering the United States organic personal care and cosmetics products market?